Even if your resume gets you an interview, you still have to make it to the other side of the interview. Interviewing requires a separate skillset you may not use in your day job. But it doesn’t have to be that challenging. It really is as simple as being honest, open, polished, personable and courteous as you can. 1. Overlooking the Importance of Appearance. Appearance should be a no-brainer. Don’t overlook anything here. When in doubt, go for business attire and not business casual. But after that, think of all the details about your appearance – hair, nails, shirt tucked in, ironing, polished shoes. 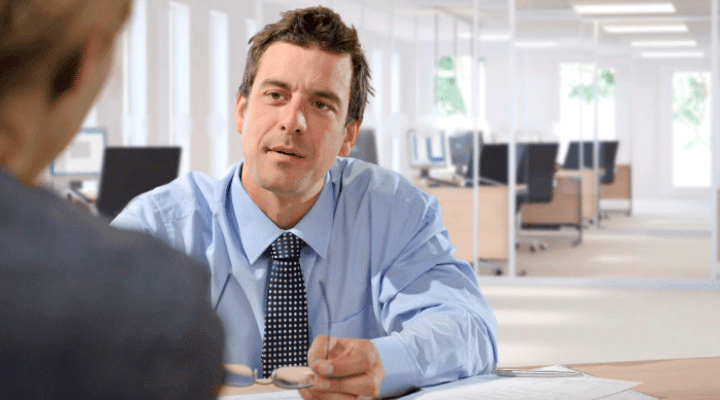 This may seem petty, but it’s important to manage your interviewer’s first impression of you. If you get the job, it’s okay to relax more, depending on the environment, but when it’s interview time, it is time to make sure your appearance does not detract or distract from your resume and what you can bring to the job. 2. Asking no or Poor Questions. Your school teachers lied to you. There are bad questions. Your interview is not the time to start asking them. Arrive with questions in mind – based on your company research. The key to good questions is listening. Engage with your interviewer and respond to what they’re saying with meaningful questions about the company. Complaining drains the life out of everyone. Be sure you don’t cast your former boss, company or coworker in a bad light. But also, be sure not to complain about the company you’re interviewing with – the commute, the parking, the timing, etc. Be as diplomatic and positive as possible. You can always put those issues on the cons side of your list when you have to decide whether to accept the position or not. At the interview stage, you don’t have anything to complain about…you just have an interview to nail. 4. Putting your career in the spin zone. Sometimes, your vices can be your virtues. It’s obvious when you try to make yourself look good in every situation. Let your results speak for you – you don’t have to make yourself the hero of every story. It will quickly become annoying. Speaking of annoying…it is possible to annoy your interviewer with too much confidence and personality. It’s important to stand out in a good way, but you don’t want to pull a Howard Dean and kill your chances by getting too excited during the interview. 6. Focus on the perks. I get it. You want to see whether the job is really worth your effort, before you put your full effort into the interview. You might wind up loving the job perks but never actually land the job. Make sure your questions center on the position and the company and not what’s in it for you. Even if you realized you’ve been sending red flags in your job interviews, it doesn’t always mean you blew it. Red flags signal caution for the recruiter, not necessarily rejection. A thoughtful follow-up may help save a lackluster interview performance. Follow up with an insightful question (not about job perks) or comment that might be of interest to your interviewer, based upon your conversations. Follow up communication keeps the memory of you fresh after the interview.